In the ’60s, these announcements had a much more ominous quality than today’s frequent “Breaking News” alerts. A Special Report truly meant a significant, if not earthshaking, event had occurred. I was watching alone in this moment on April 4, 1968. My parents were away from our home. I sighed and waited for the impending report. Martin Luther King Jr. had been shot in Memphis, Tenn. There were not many more details aside from that he had succumbed to the bullets. I was not surprised. As a 12-year-old growing up in the U.S. South, I had seen King’s favor wane among some people from 1966 to 1968. Maybe it was his fair-housing marches in the North. Or maybe it was his position against the Vietnam War, announced in ’67 — a stance attacked by white and black people and the black and white press. 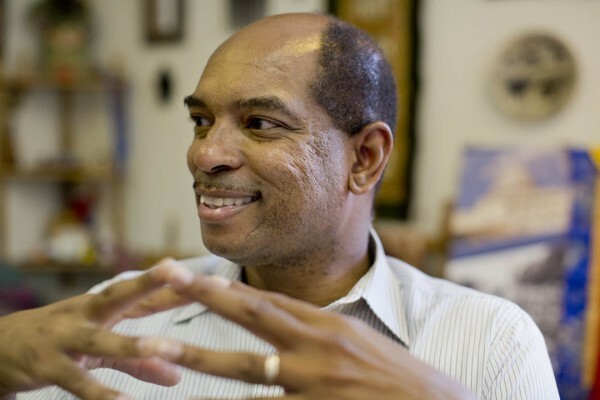 The author of this essay, James Reese, has been a Bates dean since 1977 and a key leader in the development of the college’s distinctive MLK Day tradition. He was the Class of 2017’s Baccalaureate speaker. Or perhaps it was the Poor People’s Campaign he had initiated in an effort to critique economic conditions, which were less easy to pinpoint and change than the fight to enter public accommodations or gain voting rights. Over the next 50 years, those issues would, fortunately, rise in prominence. But that night, his murder made me wonder whether the dream was deceased or just deflated. In my sadness was a loneliness, an uncertainty about whether our society would drift backward to division and unfairness, or if his campaign’s efforts had enough momentum. Fifty years later, as we talk about that night and the commemoration of Dr. King, I still reflect upon and debate the answer. That night, when my parents returned, I shared that Dr. King was dead. They looked at me as if, surely, our son would not make this up. I looked at their faces and saw in their expressions, deep and strong, that we all would need to work forward together — which we would do after mourning. The next days moved quickly: the shock of the event; the fear of racial backlash; the disturbances in many cities; the forlornness of another great man struck down. The funeral saw Benjamin E. Mays, Bates Class of 1920 and King’s primary mentor, give the final eulogy. 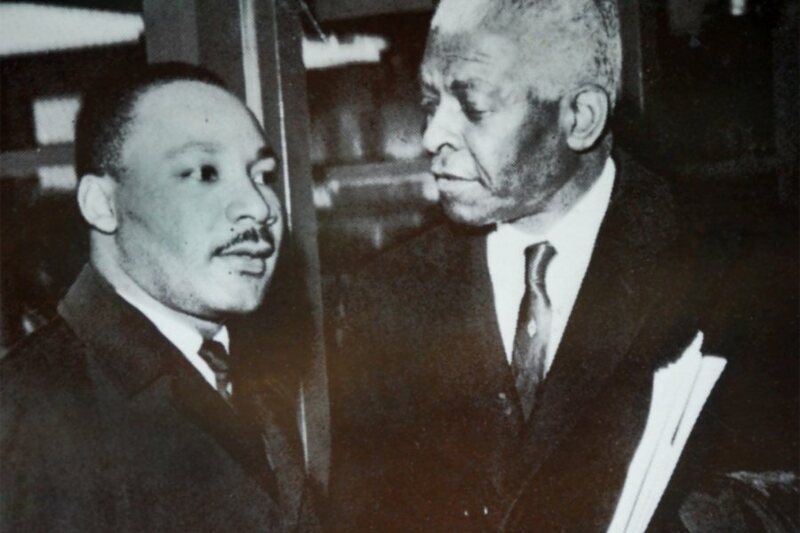 Martin Luther King Jr. with his mentor, Benjamin Mays ’20, who delivered King’s final eulogy on April 9, 1968, at Morehouse College. 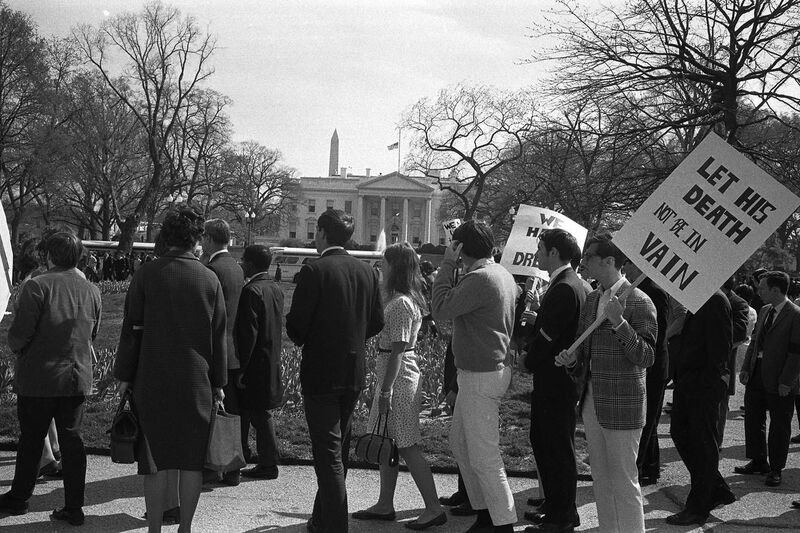 We can see, in the years that followed, society’s response: the impact of the civil disturbances; the increased enrollment of students of color in schools that formerly discouraged it; the expansion and controversy of affirmative action; opportunities and setbacks for people of color; a deserved review of Dr. King’s personal flaws; and an increased understanding of the histories and horizons of many groups of people amid campaigns to slow them. The last 50 years have led to multiple interpretations of what’s improved or not, and how quickly or slowly. But that night was still. We went to sleep early, sad — not bewildered, but vastly disappointed. The morning brought more sadness, feelings of defeat, and much thought about how to maintain King’s spirit. These days, the spirit is present in his film clips and in the deep analysis of his ample writings. But we miss much of it and him. Many outcomes — positive and negative — that he identified, warned of, or concluded in his writings are present today. He did much of his work on civil rights and humanity between the ages 26 and 39. Many forget he died very young. Some have said he was the most important American in the last 100 years. If so, how? And why? And if not, what does the last half-century say of his impact and of society? The question looms, still, on the anniversary of MLK’s assassination. Tags James Reese Martin Luther King Jr.